Bank of America executives, investors, and opponents alike reacted with surprise to yesterday’s news—posted for two hours on Dow Jones Newswire and elsewhere—that the mammoth financial institution, realizing it was heading for a taxpayer bailout, was asking Americans to start thinking about what they’ll do with BofA once they own it, and to start advertising that vision too. The fake YourBofA.com website was quickly, but temporarily, blacklisted by Google as a potential “phishing scam,” despite the site containing no forms, spyware, or other characteristics of a site engaging in phishing. Firefox and Google Chrome users who tried to load YourBofA.com were warned that the site may be “dangerous,” while some individuals with Gmail accounts reported that emails containing the URL were bounced back or not delivered. 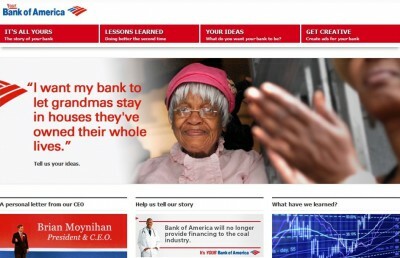 An investigation by Raw Story concluded that “It’s likely that Bank of America reported the site to Google as a phishing scam.” Shortly after the article’s publication—and with the help of thousands of volunteers complaining to Google—the website was taken off the blacklist. “Any response by Bank of America would just help spread the word, and they seem to know that,” added O’Heely. 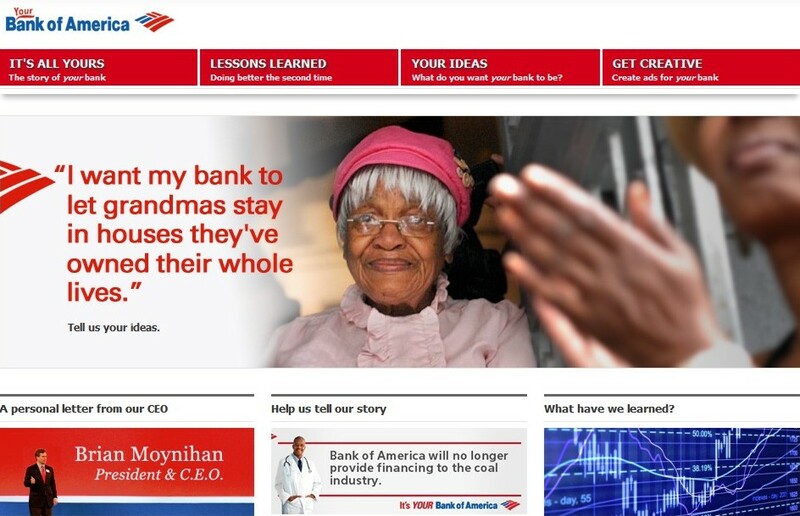 When Bank of America got Google to blacklist the website as “phishing” (which it was not), the Yes Lab mobilized 4,000 volunteers to complain, which quickly worked to de-list the site and give this press release a small extra hook. The website’s centerpiece is an open call to American taxpayers to begin considering what they will do after a bailout, when they’ll have a chance to become the company’s majority owners. The “bank” also asks the public to advertise their visions with a tool for generating web banners—images that could give Bank of America a very real “google problem” not unlike Chevron’s. The site also includes a letter from CEO Brian Moynihan that admits to the bank’s many failings—short-sighted investment decisions and the massive accumulation of le gal liabilities, causing plummeting share prices and inexorably pushing the company towards a public bailout. The YourBofA.com website was a collaboration between the Yes Lab, Rainforest Action Network, and New Bottom Line. A number of folks within Occupy Wall Street’s Alternative Banking working group also helped with the site. 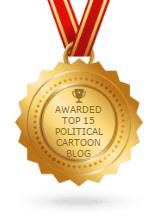 Like other Yes Lab websites, this one is hosted by May First / People Link.